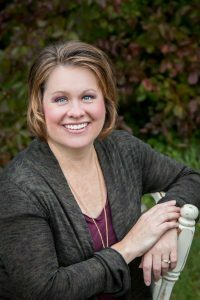 Dr. Amanda J. Foust has proudly served the people of Ankeny since 2006. She earned her BS in Psychology from the University of Iowa, and she also received her dental degree from U of I College of Dentistry. Since opening her own practice, she has dedicated herself to compassionate and personalized care. Dr. Foust cares for the complete well-being of her patients, not just for their dental health. She provides conservative care and strives to make her patients feel comfortable and relaxed in the dental chair. She also loves talking to her patients and learning new things about them. Dr. Foust is a proud member of the American Dental Association (ADA), the Iowa Dental Association (IDA), the Academy of General Dentistry (AGD), and the Des Moines District Dental Society. Dr Foust strongly values continual learning and continuing education. She is currently working on obtaining her fellowship from the AGD. In her free time, Dr. Foust enjoys spending time with her husband and her two daughters. She also likes playing with her dogs, Lucy and Ronin, reading, shopping, and biking. Her favorite movie is The Princess Bride. Dr. Foust’s focus is always on improving your overall wellbeing as an individual and not just a patient. To meet with Dr. Foust in person, schedule an appointment with her by calling Dental Impressions in Ankeny, IA today at (515) 965-0230. We also welcome patients who live in Alleman, Elkhart, Bondurant, and all surrounding communities.